Incredible piece, and pretty big so that's good. 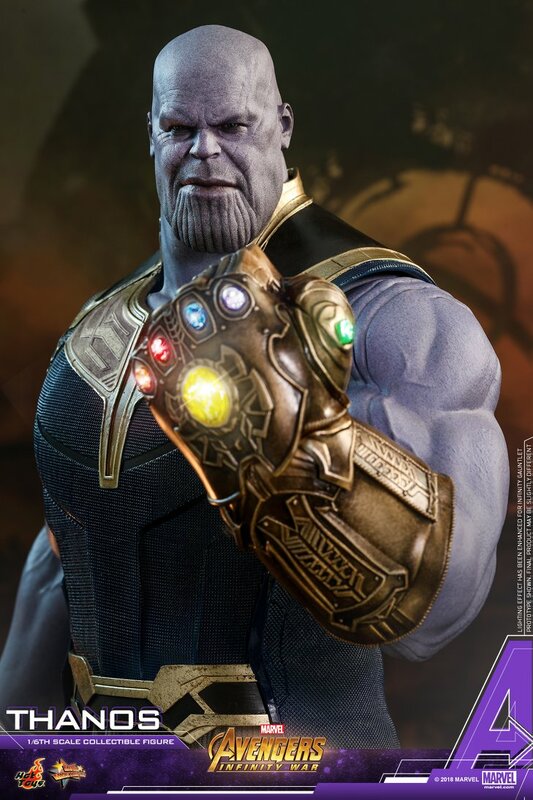 I just can't help but wish they included a head sculpt with his crown, but I guess you could probably swap out heads from the previously released Thanos with Throne Hot Toys released for Avengers. So awesome. No doubt this looks really really good but I like the head sculpts on the SH Figuarts version better. That’s why you shouldn’t buy it until you at least see the movie first. I understand making a $400 specific to one film but releasing it without essential accessories is ridiculous. but i'm game...waiting for the movie..
Look at that weird roll of "flesh" when Thanos bends his right arm. Eew. I'm not really into Hot Toys' seamless elbows...I have their Commando John Matrix figure and I'm always paranoid about bending his arms for fear of eventually tearing the rubber. I'm glad you said it. I mean, they could have gone with something a tiny bit more ceremonial if they wanted to go casual, I totally get that. 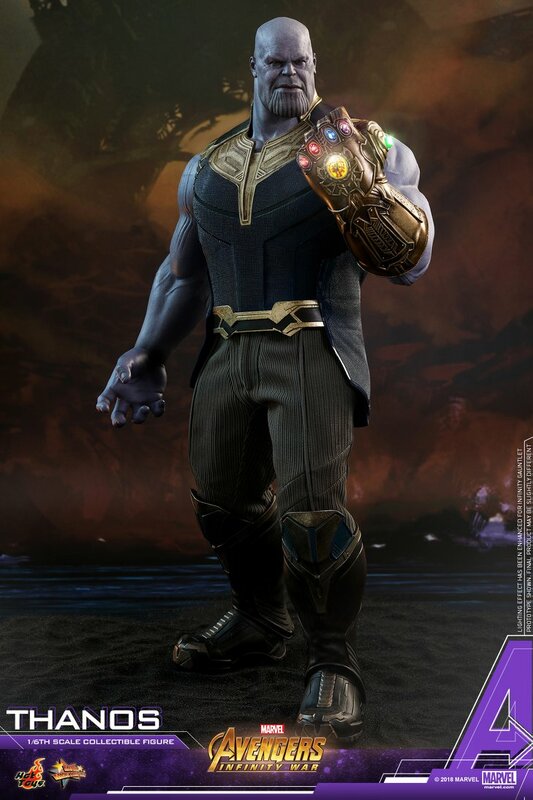 Get the first Thanos they did, it's a hell of a lot more impressive. Or the next one, as you alluded to. I’m still seeing Rick from Pawn Stars! That explains why he's making lowball offers for the rest of the Infinity Stones. 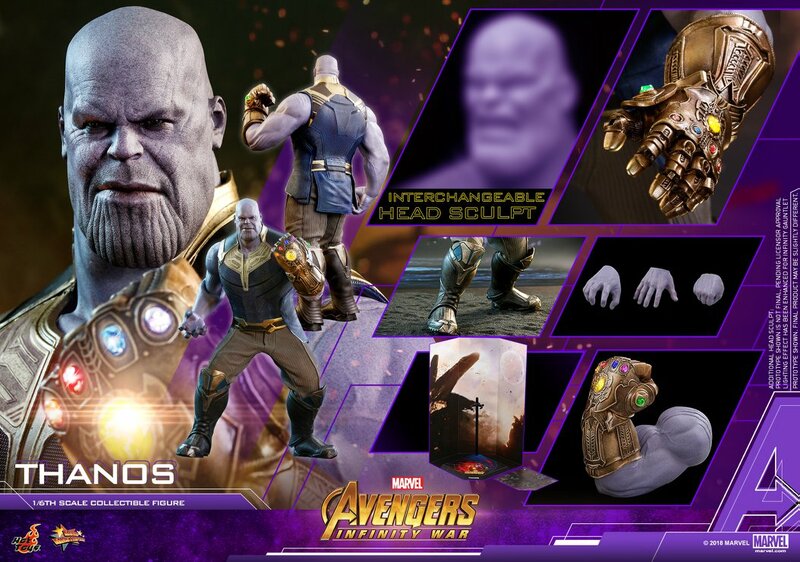 When the 1st trailer dropped, the Russo's (or Feige, can't recall) explained that Thanos rejects his armor as he starts collecting the Infinity Stones. He sees the armor as a weakness and unnecessary at that point. While I really like the base reasoning, I do agree his casual look here is more of a distracting presence as opposed to a menacing one.